Our Emu Point Accommodation: The best of country and town in one location! 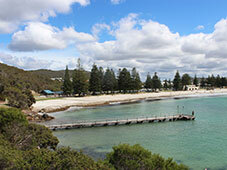 Emu Point Motel Accommodation & Apartments is nestled in peaceful surroundings just 200m from pristine beaches. Close to tennis courts, bowls, golf course and 6.5km (10 minutes) from the city centre! 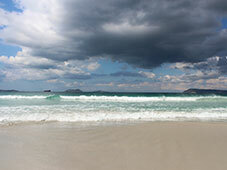 You will find our accommodation ideally located near beautiful Middleton Beach and the best attractions of Emu Point. Click here for a map. 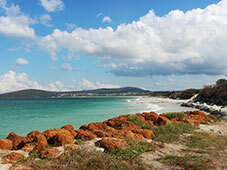 By air REX Airlines flies four times daily from the Perth domestic terminal to Albany airport. The flight lasts one hour and 10 minutes and is the quickest way of travelling to Albany from Perth. Visit www.rex.com.au for schedules, fares and online bookings or phone 02 6393 5598 Mon - Fri . The most direct route from Perth is via Albany Highway – a distance of 409 kilometres taking about four-and-a-half hours to drive. Coaches depart the East Perth terminal daily to travel to Albany via Kojonup, via Bunbury or via Northam·– see timetables, fares and bookings or phone 1300 662205.